Adi L Hasla, a 27-year old rapper who combines modern rap with compelling pop elements, released his debut album “Habiturientti” in 2015. His latest full-length album “Pieni punainen kana” was certified gold in just a short period of time. He is known for songs such as “Hyi (remix)”, “Punasta luurii” and “Ei Mitään Jiitä”. 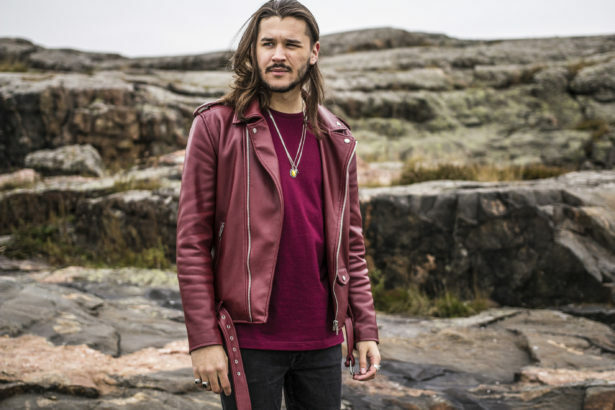 And the hits just keep on coming; in 2018 he released two singles, “Kevät” and “Kokonaan mun”, that both climbed to the charts. With “Kevät”, that was eventually the third most streamed Finnish song in Spotify in 2018, he held the number one spot longer than any other Finnish solo artist has. Visuality is really important for the Jyväskylä-based rapper who has published more than 20 music videos within the last few years.